Saudi Arabia's King Salman bin Abdulaziz Al Saud has appointed Princess Rima bint Bandar bin Sultan as the new ambassador of the kingdom to the United States with the rank of minister. She succeeds Prince Khalid bin Salman bin Abdulaziz Al Saud, who has been appointed as Deputy Minister of Defense with the rank of minister. Princess Rima is the first woman to hold the post. 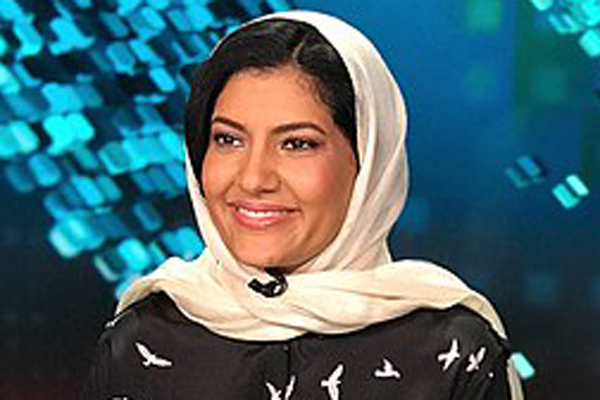 Princess Rima, who recently served in the kingdom’s sports commission, is the daughter of Prince Bandar bin Sultan, a towering figure in Saudi diplomacy who served as the kingdom’s ambassador to the US from 1983 to 2005. Rima spent many years in Washington while her father was the ambassador and graduated with a degree in museum studies from George Washington University.